All of the greatest Arnold Schwarzenegger movies in one list, no movie too small or too big to be included. From the best Arnold Schwarzenegger movies to the worst, these are the movies Arnold fans like you have voted on to be named the best Arnold Schwarzenegger movie of all time. Arnold is an actor who needs no introduction; he's a muscular force in movie history who can make the most macho man look like a prepubescent boy. From the classic Arnold Schwarzenegger action films like Predator and Commando to his "classic" (maybe that should scratched so we don't do anything Arnie might be offended by?) comedies like Kindergarten Cop and Jingle All the Way, these are all movies you know and love starring a big man with a kind heart and lots of weapons to blow things up. 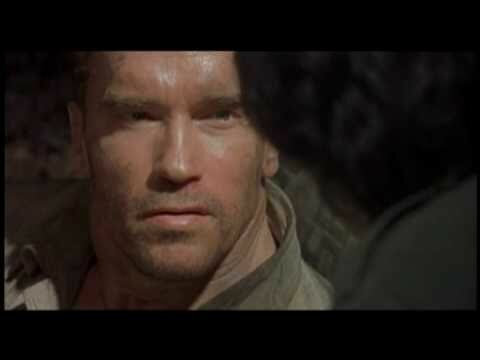 What is the best Arnold Schwarzenegger movie ever? Vote on this Arnold Schwarzenegger filmography and see! If your favorite Arnold Schwarzenegger movie isn't on this list of the top Arnold Schwarzenegger movies ever, make sure to add it so other Arnold filmography fans can join in on the fun.